If you're of a certain age you'll remember those press-out cardboard models you could buy. When I was three my elder brother made a whole fleet of cardboard aeroplanes of the day. His favourite was a tiny de Havilland Vampire that he crafted with ten-year-old dedication and I burnt with three-year-old vileness. The guilt has pursued me ever since. When I started working with Classic Flight I mentioned the fact that they fly a restored Vampire. Martin replied "Bloody hell, they'd better not let you near that." Over Easter weekend I was able to pay back the debt. 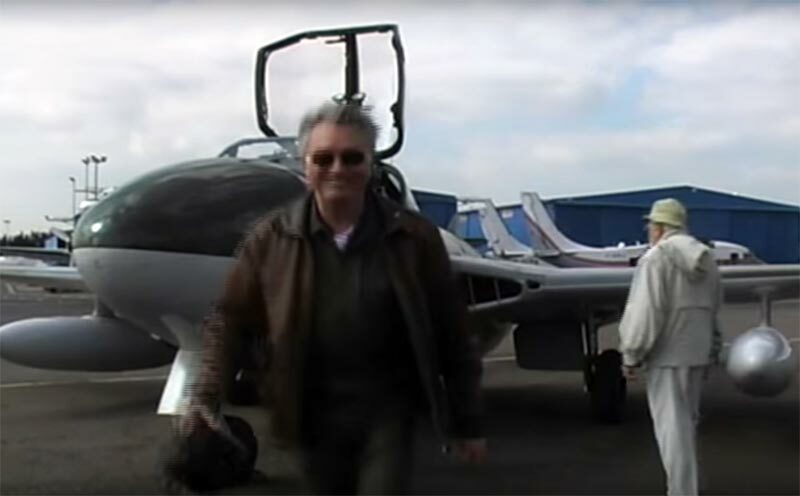 With the kind co-operation of Classic Flight and conspiracy from Jon Corley, their chief pilot, we were able to get Martin aloft in the Vampire. And what a great day it was. There were pleasure flights in a DC3 Dakota, a Scottish Aviation Pioneer (with Bruce Dickinson at the controls), a de Havilland Dragon Rapide and a Percival Prentice. It was a real thrill to see war veterans step out of the Dakota with tears in their eyes. One ex-paratrooper commented that he's taken off in a Dakota lots of times, but this was the first time he's landed in one. Jon and Martin put the Vampire through its paces in the afternoon sun, finishing with a low, high-speed fly-past that drew a few gasps from the crowd. It's easy to say that the Vamp's not fast by modern standards, but not when it comes by you at 50 feet, doing around 400mph. Martin got out grinning like James Coburn. I scuttled around getting on everyone's nerves with Jon's video camera and put together a little film to remember a great day.